An American ambassador to Israel tries to bring peace to the Middle East conflict through unconventional methods. 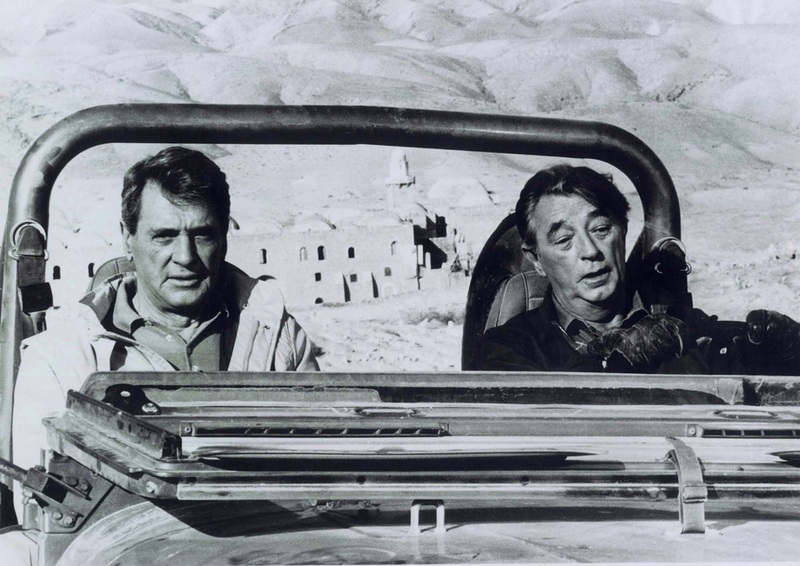 American Ambassador to Israel Peter Hacker (Robert Mitchum) and head of security Frank Stevenson (Rock Hudson) are en route to a secret location in the Judean desert to meet with representatives of the PLO (Palestinian Liberation Organization). It is part of Hacker’s secret plan to have young Jews and Muslims begin a peaceful dialogue. An armed Israeli helicopter locates and disrupts the meeting by firing on it causing several deaths. Hacker and Stevenson survive and are apprehended by Israeli ground soldiers. Alex Hacker (Ellen Burstyn), the ambassador’s troubled and lonely wife is in Jerusalem where she is secretly meeting her lover. However, she is followed and their tryst is caught on videotape by an unknown entity.